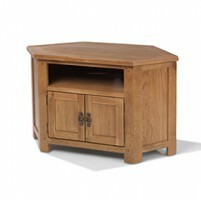 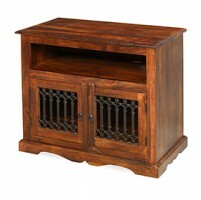 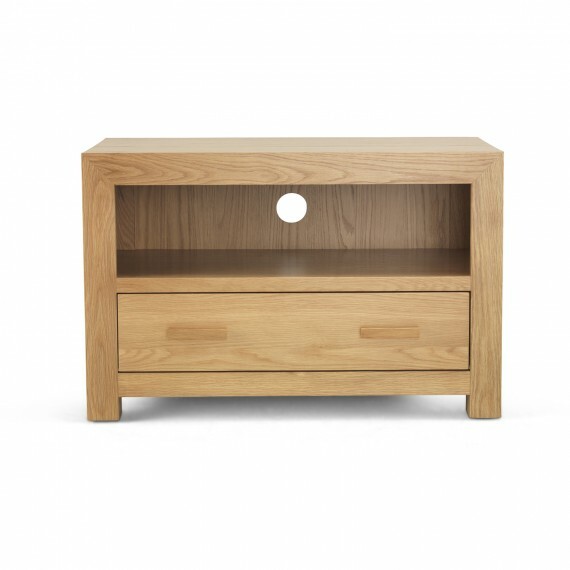 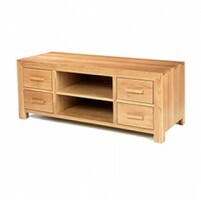 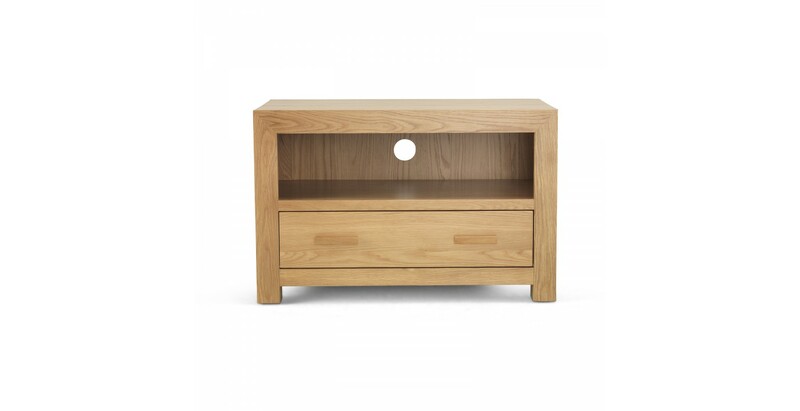 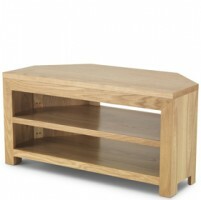 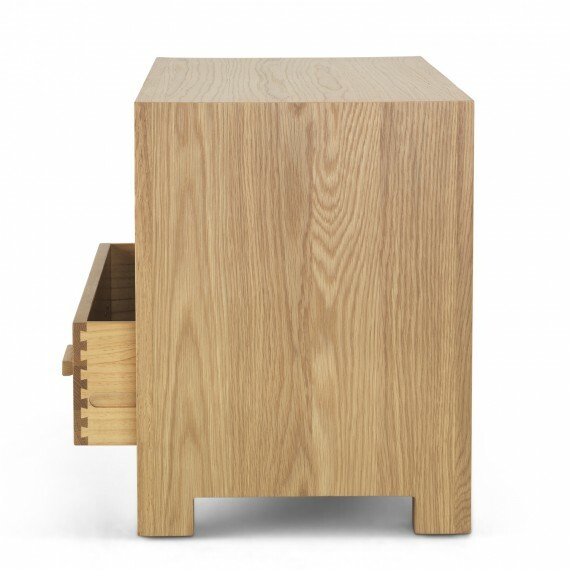 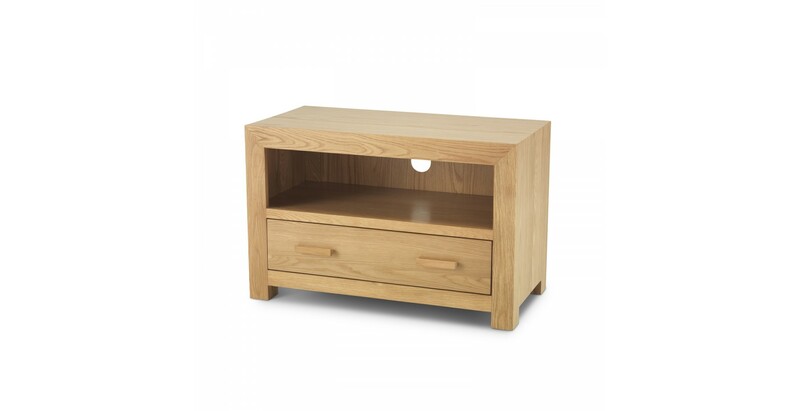 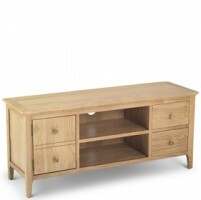 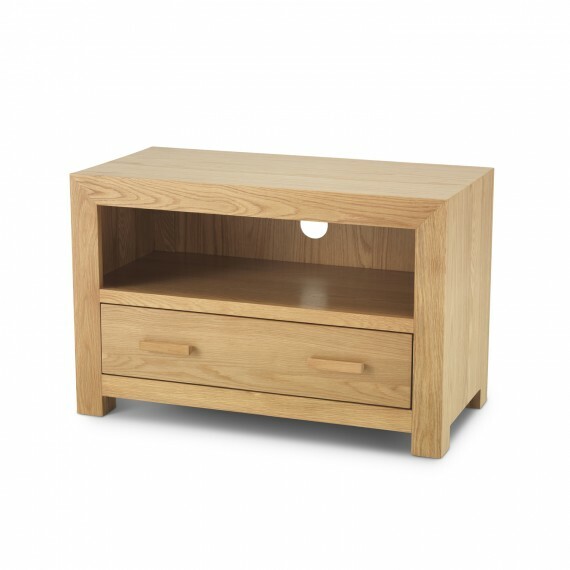 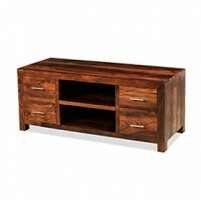 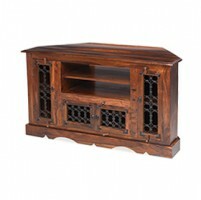 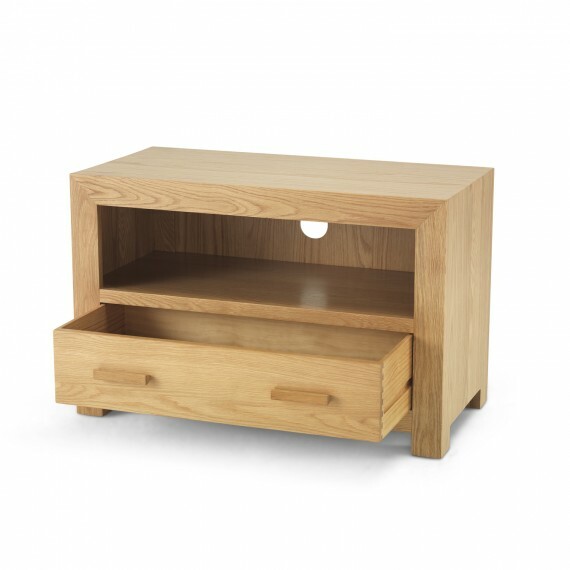 The Cuba Oak Small TV Unit is a strong and petite TV Unit will look great in both traditional and contemporary backdrops. 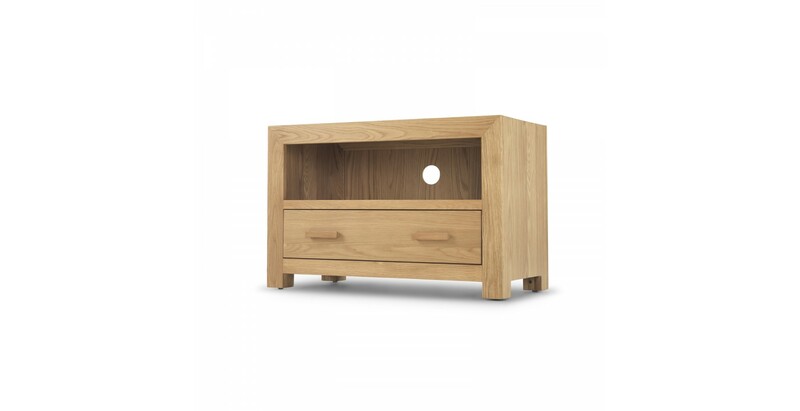 Ideal for smaller rooms, this TV unit is constructed from Cuba Oak and finished with a layer of matt lacquer to show off the rich grains. 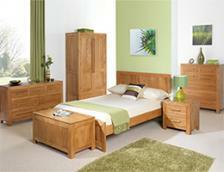 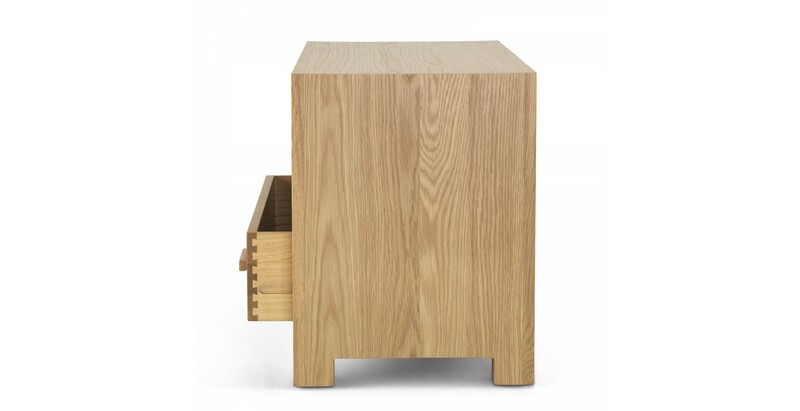 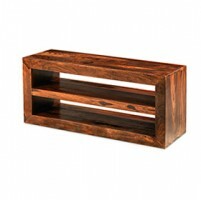 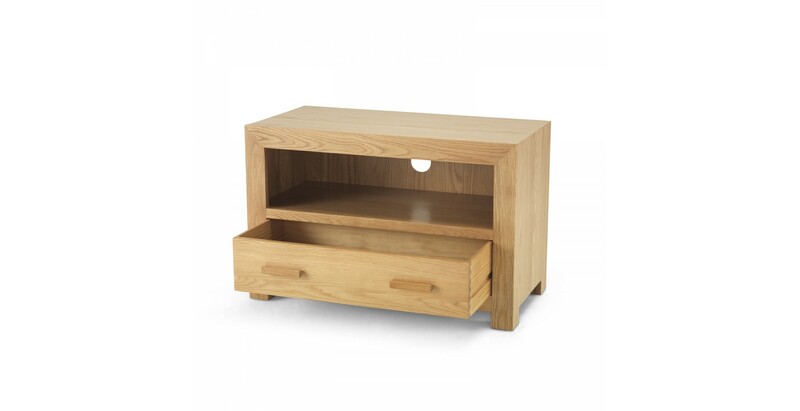 This unit has two roomy drawers to store your DVDs, remotes and cables as well as one shelf. 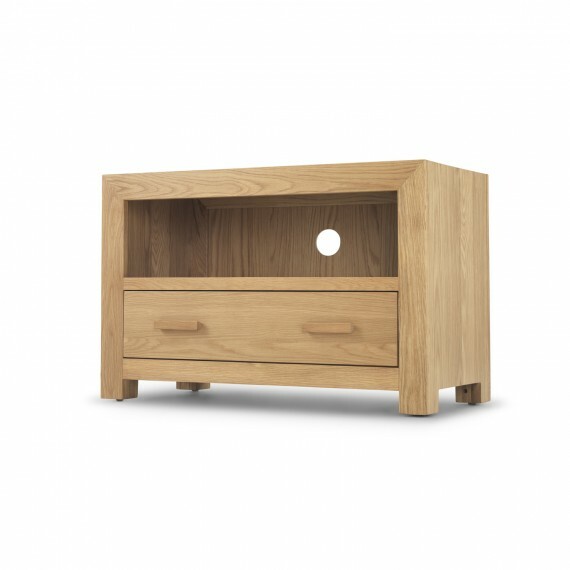 The strong and sharp lines of this modern tv unit will make this a perfect unit to display your media devices without taking up the whole wall.